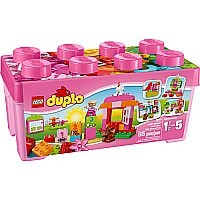 This starter set is a great way to introduce your young girl to the building and rebuilding fun that comes with every LEGO DUPLO set! 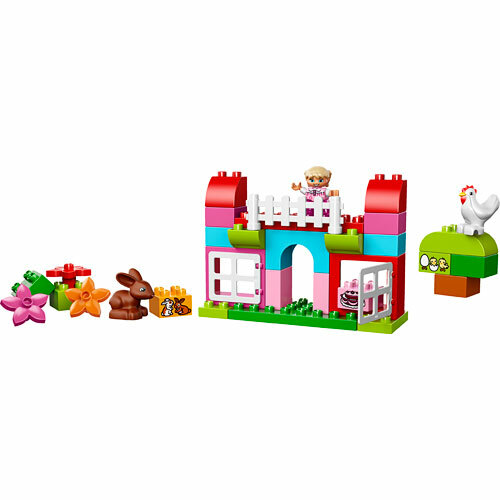 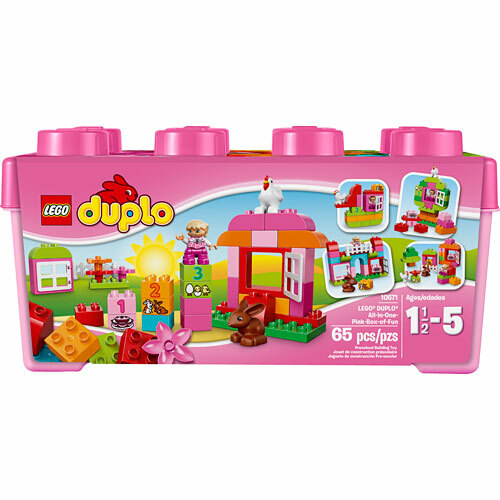 The All-In-One Pink Box of Fun features special elements, such as windows, a cute bunny, hen and numbered bricks to help your young builder develop her counting skills. 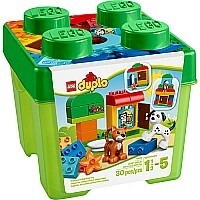 There are classic DUPLO bricks, too, so that the building experience can develop and change every time your child plays. It all comes in a sturdy, iconic pink LEGO brick- shaped storage box. 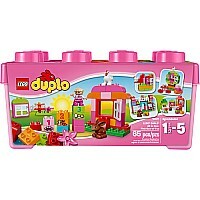 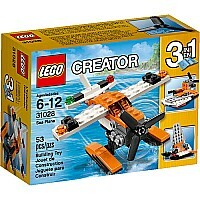 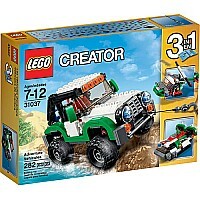 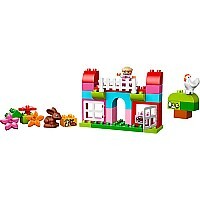 Includes a girl DUPLO figure.